Our Feather Banners are an extremely versatile marketing tool for outdoor events. 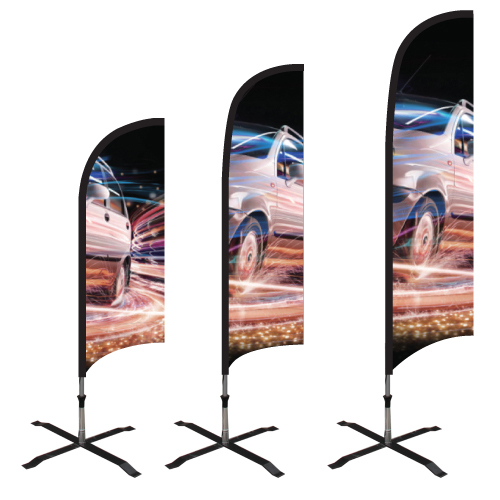 Double sided printed flags consist of a strong fiberglass sectioned pole and our superior methods of printing means everyone of our flags is manufactured to the highest standard. Each Feather Flag is water-base digitally dye printed in-house resulting in excellent colour matching and deep, rich colour contrasts. 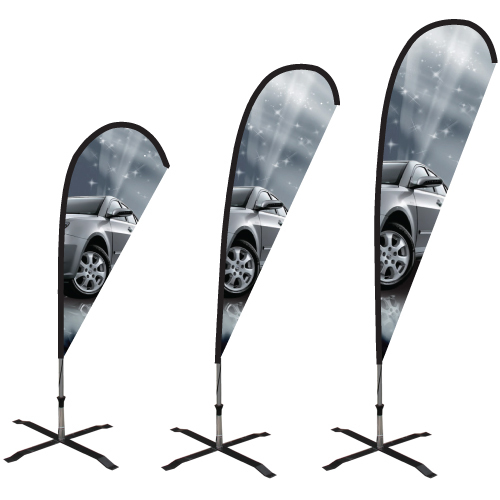 We also offer different bases depending on where you need to have your teardrop banner flying. Each banner comes packed in it’s own luxury carry bag. 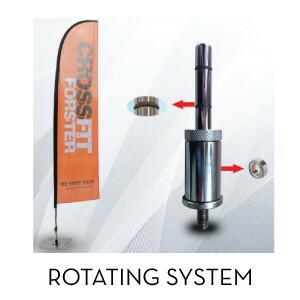 Our Feather Banners can be printed single sided with a 70%-80% mirror image or Double sided for a stronger looking feel. 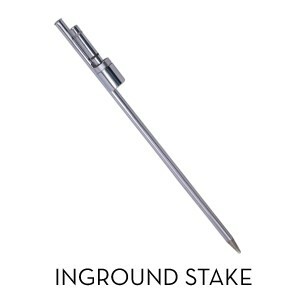 The banners can be supplied with different base options but the most liked are the ingroud spike or a heavy cross base with a FREE water bag. 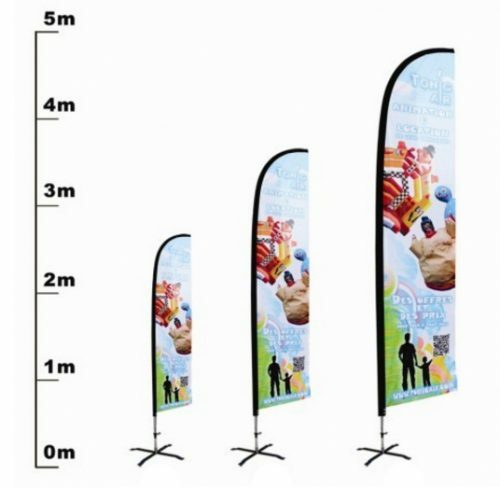 At Pull Up Banners Australia, we’ve printed and delivered our feather banners for countless events in Sydney, Brisbane, Adelaide, Canberra, Perth and Melbourne. To learn more about our custom solutions, call our team today on (03) 9505 6399 or submit an online enquiry. We offer a number of high-quality solutions when it comes to custom feather banners. Our team is also committed to providing value-added services to our customers, including communicating effectively, fulfilling delivery requirements on time, and providing a safe and cost-effective delivery service. Whether you’re a real estate agent needing a banner to market properties or a business looking to raise brand awareness, we can supply you with feather banners that offer exceptional value for money. We work with other businesses that provide feather banners to their customers. 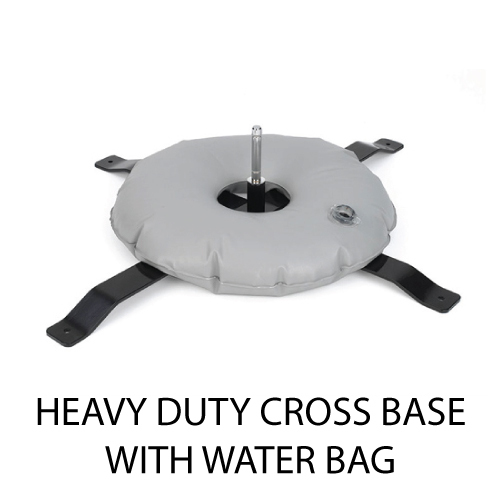 We concider them our partners and we provide them with trade wholesale prices.